Our focus is on mixed medium art from canvas to metal; we create an atmosphere in places people live, work and play. In addition, We have over 15 years experience in designing retail, residential and commercial needs for art, bringing our unique passion and commitment to every design. GALLERY VERONIQUE goes where our client takes us, moving from planning and design to an end result that will last…So embrace a fresh approach – one that doesn’t follow trends but sets them. 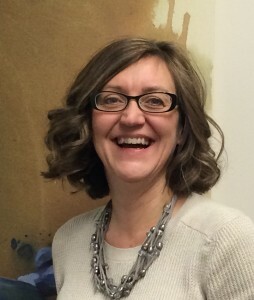 At GALLERY VERONIQUE, you will never feel pressure to make a purchase. We are very proud of our collection of artwork and hope you will enjoy browsing. Come in the gallery to browse the artists, you’ll find the perfect piece for your space. –Art shows we go to: Every year we travel to the big NY ArtExpo to select new Artists. Sometimes they are American; sometimes they come from all over the world (the last one was from Ireland!). We also travel to seasonal show like Ann Arbor Art Show, St James Ct, etc. – Travel: Owner, Veronique, has the opportunity to travel quite a bit with her husband’s career ( Opera singer Thomas Hammons) which allows her to visit numerous gallery and be introduced to many new Artists. -Art Dealers: Again, we travel to Chicago to meet some major Art dealer on a regular schedule to refresh the inventory of original art in the gallery. Sometimes Art dealers come to us and we spend a dedicated amount of time selecting carefully the best our dealers have to offer. – Artists themselves: A large number of Artists contact us on regular basis to be represented by the gallery. We review each application and select the lucky ones who fit the requirements of the gallery. So you can be assure that the Art we have in the gallery has been carefully selected for you in order to give you a maximum of choice with the best quality and within a price range you will feel comfortable with. I have had a number of “art” pieces framed at Gallery Veronique and have always been thrilled. 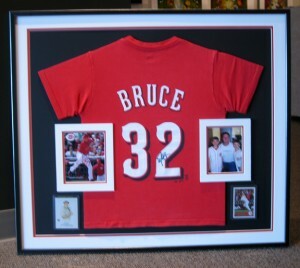 I was a bit nervous when I took in my son’s autographed Jay Bruce tee shirt, some snapshots and some baseball cards to have framed; as I had never had them frame anything like that before and wasn’t sure what to expect. Since I have never been disappointed, I left the pile of items there and hoped for the best. All I can say about the result is WOW! Not only was I completely thrilled with the result, but my 10 year old son was too. My husband is now trying to scrounge up his Eric Davis items to have framed next! Beautiful work!!! Donna C.
Gallery Veronique is great! We’ve lived in many cities over the past 25 years and have been clients of Veronique for the last twelve. 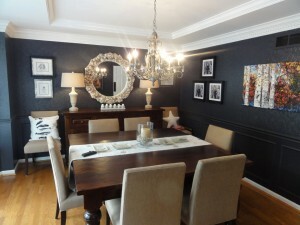 From original art to custom framing she has excellent taste and instincts. Regardless of your preferences in art, Veronique and her staff always listens and works hard to find just the right pieces to fit. When she didn’t have it in the gallery and she knew it would be a great fit for our home, she ordered it or brought it in for us to see. 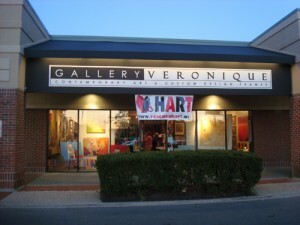 We now live more than 500 miles away with easy access to galleries in Washington D.C. and New York and yet I have continued to go to Gallery Veronique for custom framing and original art for my new home. I have recommended her too many of my friends and they agree; Veronique is the best.